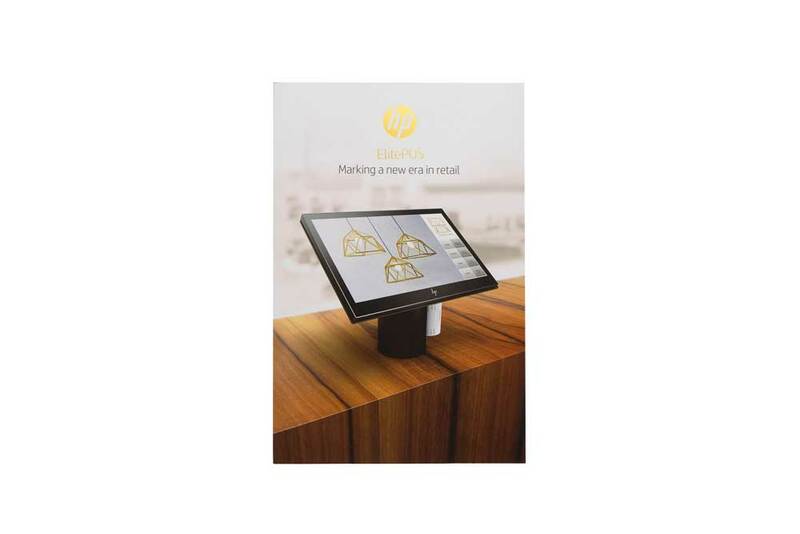 HP was releasing its new ElitePOS point of sale hardware system and needed an innovative marketing brochure to introduce it to the hospitality and retailer sectors it was targeting. When your product marks a “new era in retail” then you’d better market it with a cutting edge technology designed to impress and inform. 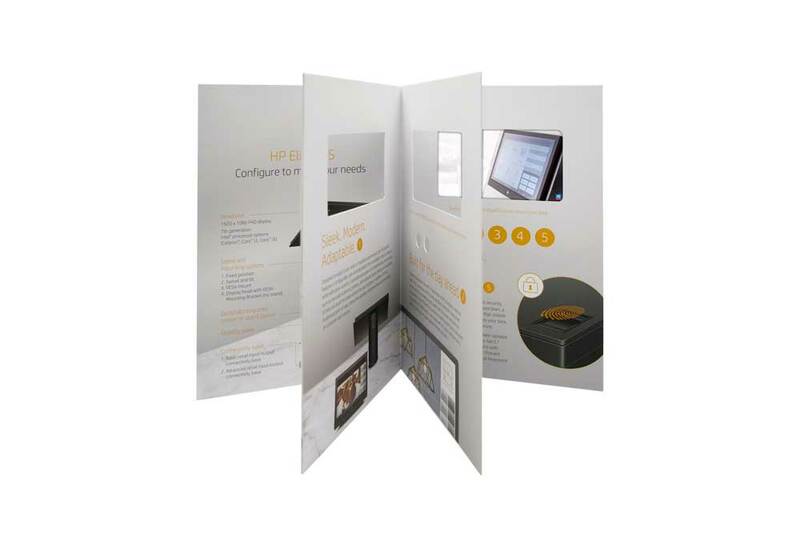 Americhip partnered with HP and its agency to create a stunning 4-spread video brochure that covered all of the key features and benefits of the POS system. Each spread has a die cut window to reveal our VIP Screen, and each description segment includes a number that corresponds with the Chapter Button that triggers the supporting video material. 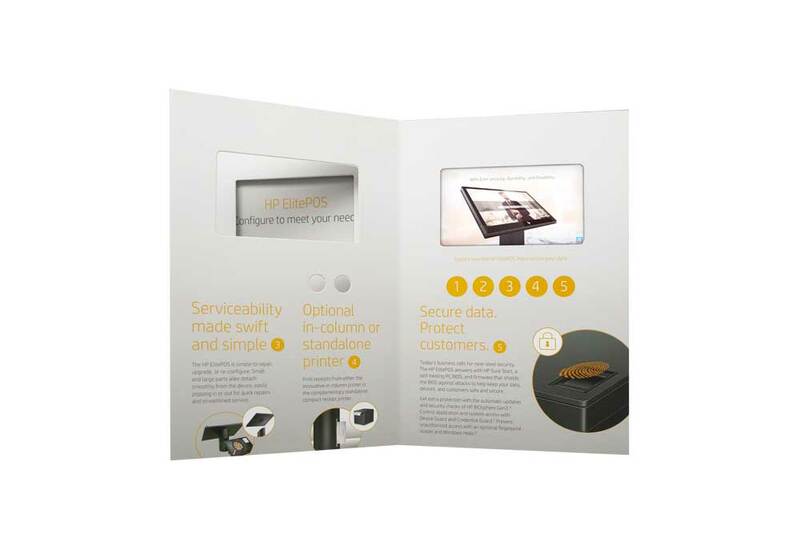 A truly integrated launch kit and introduction manual, the brochure was finished off with gold foil stamping on the cover along with soft touch AQ throughout to enhance the elegance of the communications piece. Partner with Amerihcip to ensure your launch materials are as impressive as your new products.